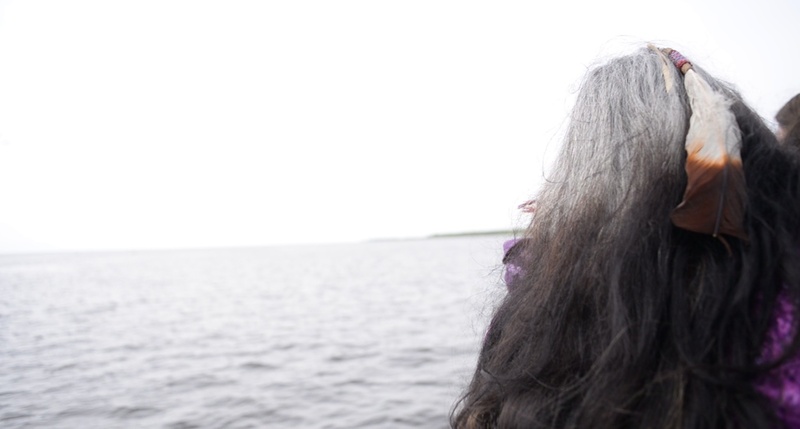 Join us for a work-in-progress screening of selected footage from Woman of the Water, a documentary directed by local filmmaker Tahila Xicahuamazatl Chavez Mintz. We are excited for this opportunity to gain feedback from the community and showcase some of the interviews and footage we have produced with inspiring women leaders from indigenous communities across the Americas, including in Texas, Mexico, Canada, and the Dominican Republic. The director and some members of the crew will be available after the screening for a Q&A about the project and opportunities for involvement. Woman of the Water will also be taking donations for their crowdfunding campaign to attend and document El Llamado de La Montana conference in Putumayo Colombia.